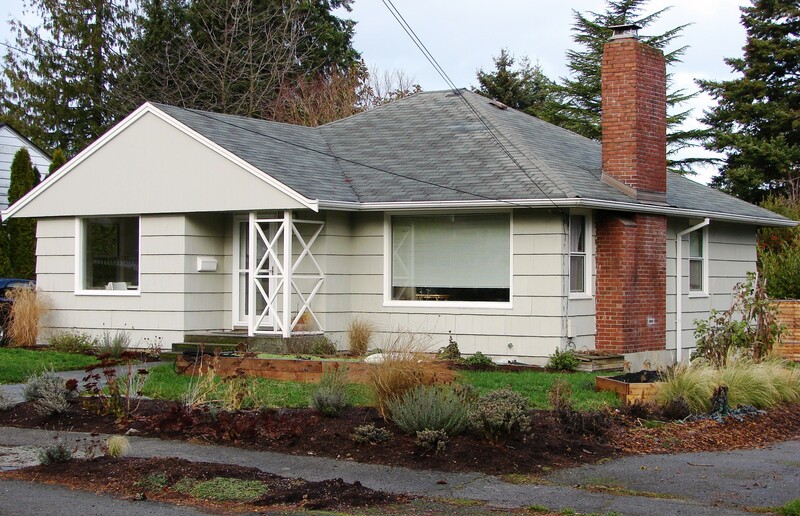 The house at 2710 NE 88th Street was built in 1939 in the first group of Fir Crest houses. It has a hipped roof consisting of four sloping surfaces adjoining the walls. The front gable (triangular form) and the visible chimney add visual appeal which varies the plane of the exterior walls.